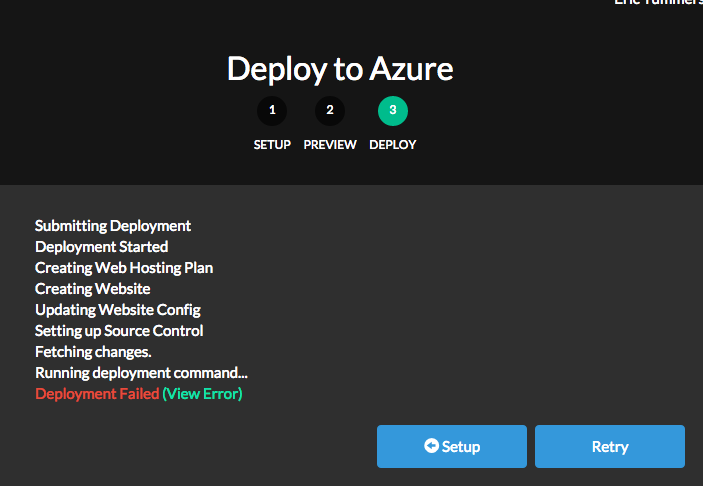 The Deploy to Azure button takes the sting out of deployment. Just click the button and the wizard will guide you through the process. How to set this up? In the azure portal the details of the failure are logged. Seems a framework issue that failed the build. Azure websites are framework 3.5 or 4.5. Setting the framework of the project to .NET 4.5 and doing a nuget upgrade fixed the build and the deployment completed with no more issues. This entry was posted in Development and tagged asp.net, azure, mvc, MVC4. Bookmark the permalink.